Stunning beaches, sparkling waterfalls, impressive hill stations, scenic tourist villages, historic museums and ancient religious places – the city of Thiruvananthapuram has so much to offer everyone arriving here. Weekend tours, one-day trips and sightseeing visits - there is every option to explore the city and its surroundings. In fact, there are various popular attractions in Thiruvananthapuram which are best for travelling around and for hanging out with friends and kin. One of these destinations, which serve an ideal spot for picnicking for the international vacationers and the local holidaymakers as well, is the landscaped setting of Thiruvallam located on the main road that links Thiruvananthapuram to Kovalam. Thiruvallam backwaters, apart from being the meeting point of the rivers Karamana and Killi, make it a striking location for sightseeing and picnicking, a favourite of all in Thiruvananthapuram. Popular as a scenic spot with the exotic backwaters of Kerala adorning the surroundings, Thiruvallam is a favourite of all the visitors in Kerala. The historic temple located on the waterfront of Karamana River is also a major attraction in the region including the holy place meant for worshipping Parasurama, which is found in the temple premises. The temple is known as Thiruvallam Sree Parasurama Swami Temple and it is one of the earliest built temples in South India. 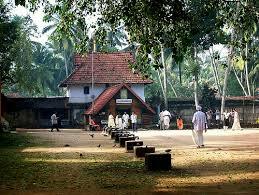 In fact, this temple is the sole one in Kerala that enshrines a holy site for Parasurama. Pilgrims and visitors from far and near do not miss to explore this ancient site on their trip to Thiruvananthpuram, the temple being positioned within 3 kilometres from the city of Thiruvananthapuram, 5 kilometres away from the Thiruvananthapuram International Airport and within 6 kilometres of the Kovalam Beach. The day of Karkidaka vavu is the ideal time to visit the temple particularly for the people interested in getting acquainted with the rich cultural heritage of Kerala. Karidaka vavu is a day in the month of Karkidakam according to the Malayalam calendar when pilgrims arrive here and take a holy dip in the water to appease the souls of their ancestors as a ceremonial gesture. 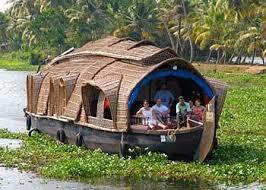 Luxuriant greeneries, which comprise mostly of coconut palms, outline the pictorial backwaters. The entire picturesque backdrop serves as a great site for picnicking and one-day excursions. It is a thrilling experience to enjoy a canoe ride at Thiruvallam backwaters, the riverside of the Karamana being equally stunning as the backwaters here. Picnickers here can also indulge in exploring the quaint fishing communities with a thrilling houseboat trip. It is a unique experience to watch the local fishermen engrossed in their daily chore. Sightseers can also enjoy exploring the exotic variety of flora and fauna that thrive in the region.